In my post last week, I featured a cool claymation video about a kid trying to study only to be distracted by a squirrel. As I started thinking about it, I've noted a few other Penn squirrel videos that have come my way on DT over the past year. Rampant Squirrel Problems on Penn's campus ...and an Undergrad Who Talks to Them?! 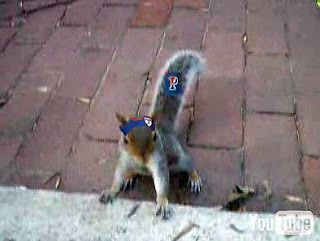 Maybe our Penn mascot should be the squirrel? Enter the May Contest and win the Cloverfield DVD!